Some Assembly Required , Blown and Flameworked Glass, 6x6x6"
The Goblet Constructions are a one of a kind, recontextualisation of traditional glass stemwear. 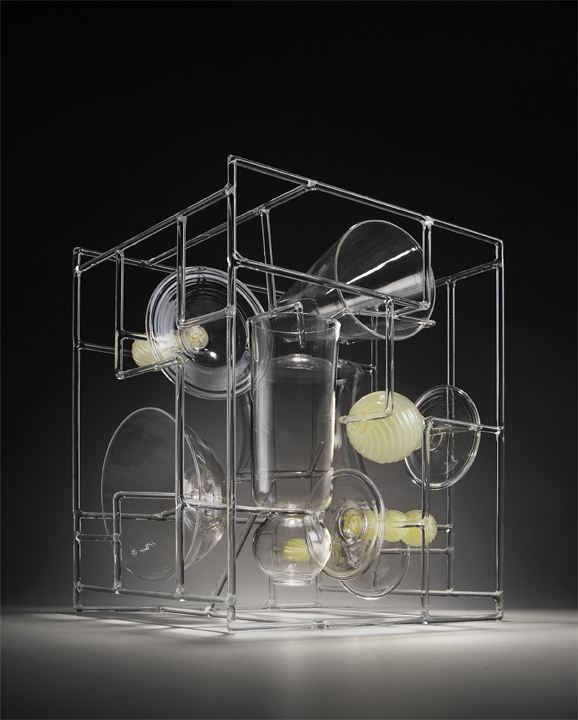 The interior objects are supended inside of the “model” frame, giving the viewer a personal oportunity to visually assemble their own goblet compostition. All interior objects are life scale. Sizes vary. Each piece is one of a kind. Path of Perception , 12x12x12"
Avenue of Perception , 12x12x24"